Serviced Office Solutions. In the heart of Nottinghams commercial district. 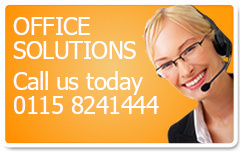 Whether you’re a start-up business or an established company, our range of office solution are tailored to your needs. So if you need office space, you don’t have to worry about securing the capital before you move in. Just reserve the space and get to work. It’s that easy! We believe that our serviced offices in Nottingham offer clients the best value and locations in this thriving city. Our clients tell us that they are amazed by the great atmosphere and the increase in productivity that they experience when they become a client of 20 Fletchergate.